From treating depression to curtailing the effects of Parkinson’s disease to awakening patients in a vegetative state, stimulating the brain with electrical currents holds all kind of potential. One very promising branch of this research centers on arresting cognitive decline by boosting memory and learning, and a string of recent studies have uncovered its exciting potential in this regard. The latest, conducted by scientists at Boston University, has outlined a non-invasive technique that was able to restore working memory in 70-year-old subjects, so much so they functioned like a healthy 20-year-old. 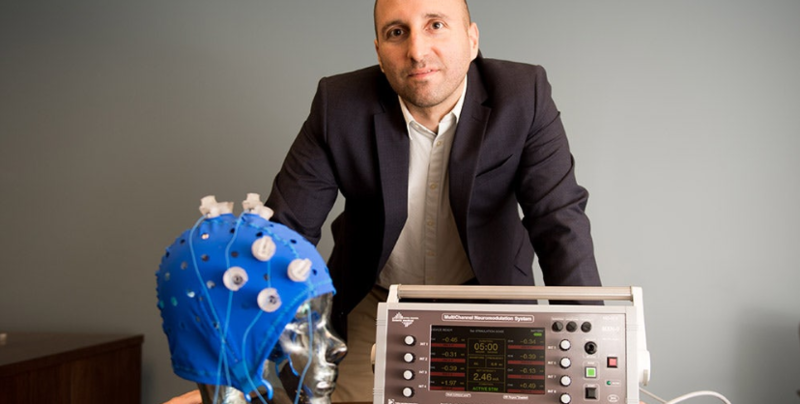 A good deal of the research on brain stimulation makes use of electrodes implanted into specific parts of the organ to deliver electrical pulses with great precision. This, known as Deep Brain Stimulation, has its advantages in that it allows greater targeting of certain brain regions, but implanting electrodes into a patient’s brain simply isn’t practical all of the time.